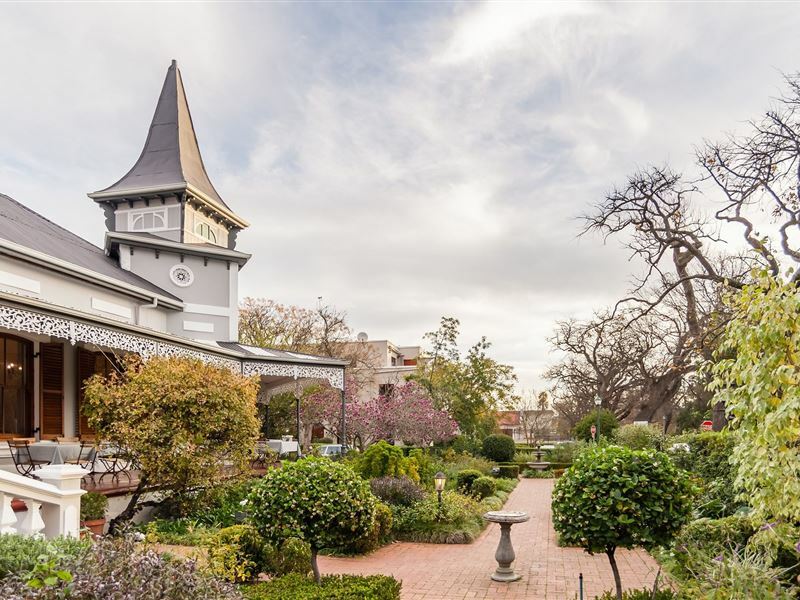 Bonne Esperance is a charming Victorian villa, originally built in 1901, and featuring a wrap-around verandah, cast iron mouldings, and corner-turret. The house retained the same charm and ambience of that era but with the added luxuries of the modern age. 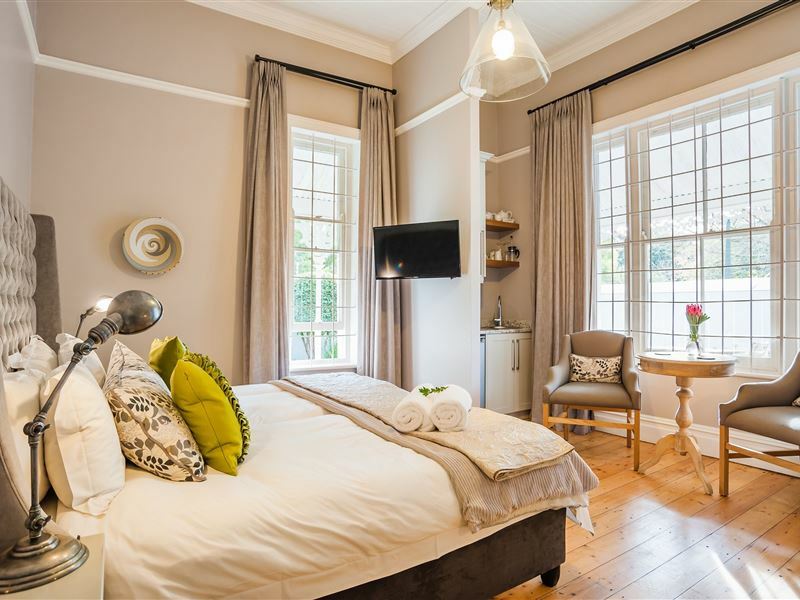 Our 15 comfortable en-suite guest rooms are lovingly decorated and include telephone, hospitality tray, minibar fridge, wireless Internet access, hairdryer, heater, and ceiling fan. Enjoy breakfast Au Provence in our butter yellow breakfast room or outside on the verandah overlooking the garden. After a day of exploring come and relax next to the pool in the enclosed courtyard garden or in winter next to the fire in the guest lounge. 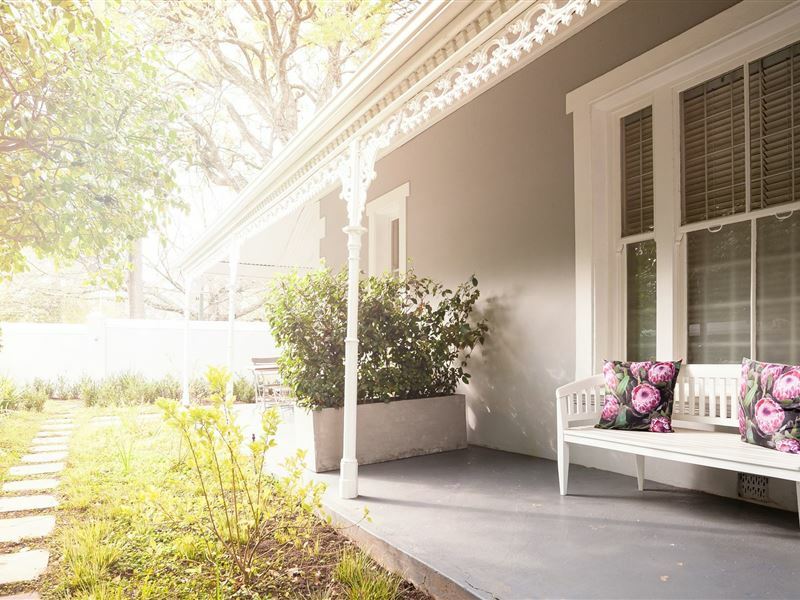 The historic town centre of Stellenbosch can be reached by a mere five-minute stroll along the oak-lined Van Riebeeck Street and old mill stream. Bonne Esperance is the perfect base from which to explore the Western Cape. 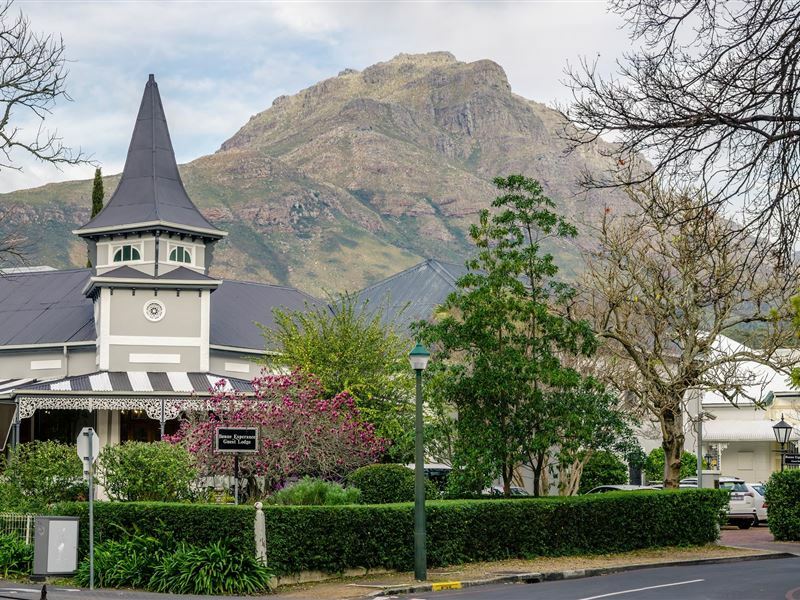 The Stellenbosch region has numerous activities to offer, the most famous being the world-class wine estates and a wine tour is a must. 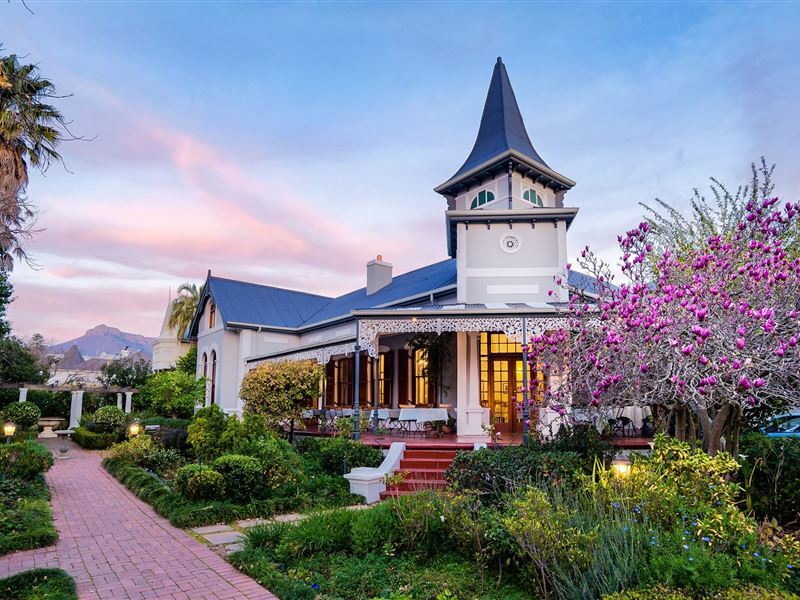 The valley is also the idyllic setting for walking trails, hiking, cycling, bird watching, and horse riding, and golfing enthusiasts are well catered for with several championship golf courses close by. Cape Town with Table Mountain, the V&A Waterfront and vibrant city centre is 40 minutes drive away. Cape Point, Hermanus with its whales, and the West Coast can be reached within 90 minutes. 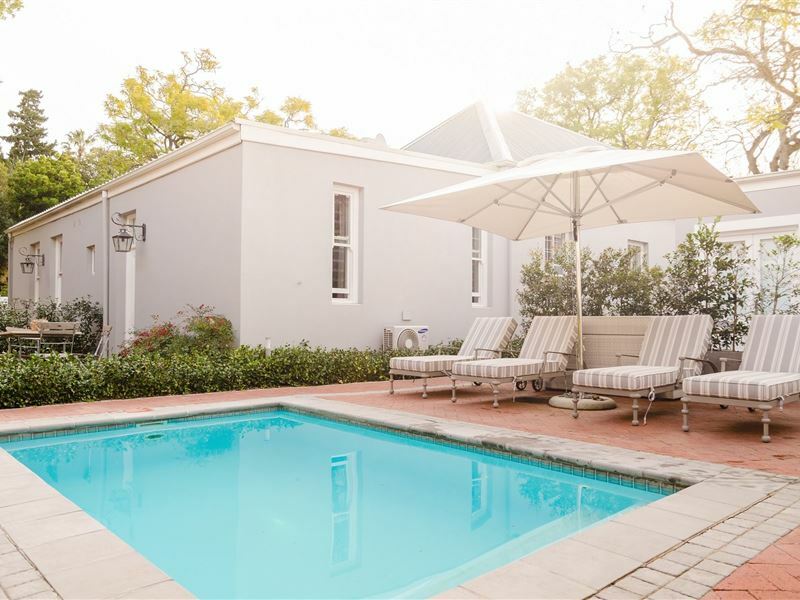 For someone visiting the Stellenbosch University it offers ideal accommodation close to campus. At Bonne Esperance service is always attentive, never intrusive. If you need assistance to plan your day, book a tour or hire a motor vehicle, we are there to assist you. 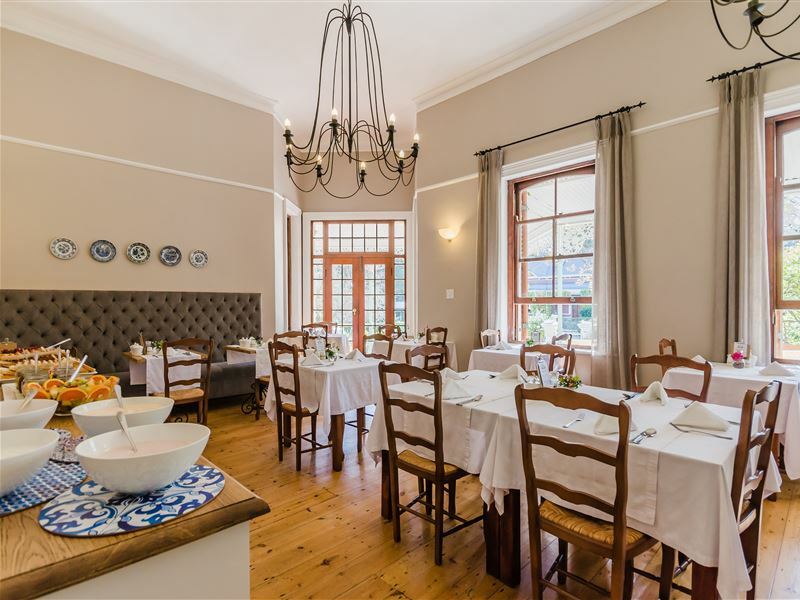 Expect informative and friendly hospitality from your host Annemien Kotze and her team. Stunning place! The staff are perfect hosts. Quaint hotel. Good breakfast and rooms. Wonderful guest house in a great location. Bedrooms clean, good beds, very helpful staff and tastey breakfast. 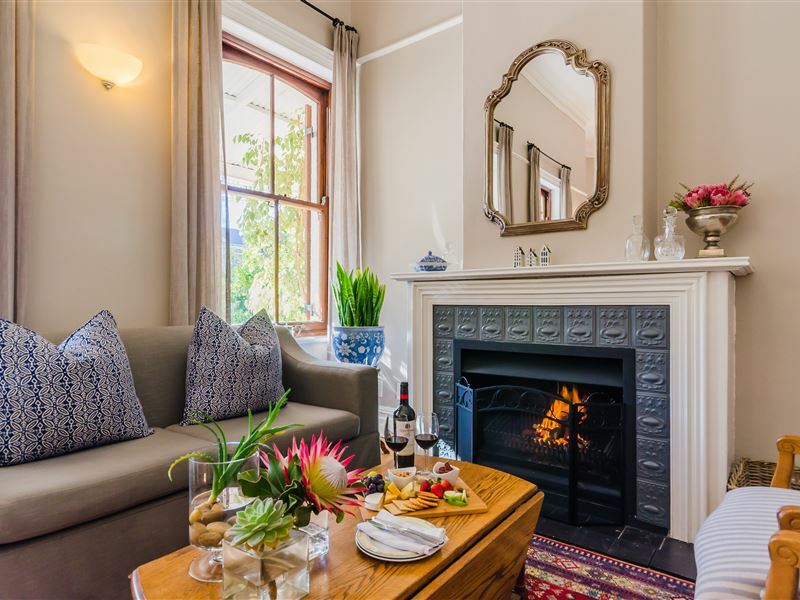 Would highly recommend for a short stay in Stellenbosch. Wonderful stay. Clean and well organised rooms. Friendly and helpful staff. Delicious breakfast. I would recommend BE to anyone visiting Stellenbosch!!! Beautiful house! Friendly staff! Loved the room, cozy and snug. Oh and the beds were so soft!! I'll be sure to recommend this guest house to my friends and family. They had a lovely fire going in the breakfast room (it was in winter after all) and their breakfast was absolutely superb!! Personeel vriendelik en hulpvaardig. Netjies en ontspanne atmosfeer. Bedrooms were to die for, you made us all feel very welcome and the food was excellent to. Request a quote from Bonne Esperance Guest Lodge at no obligation.